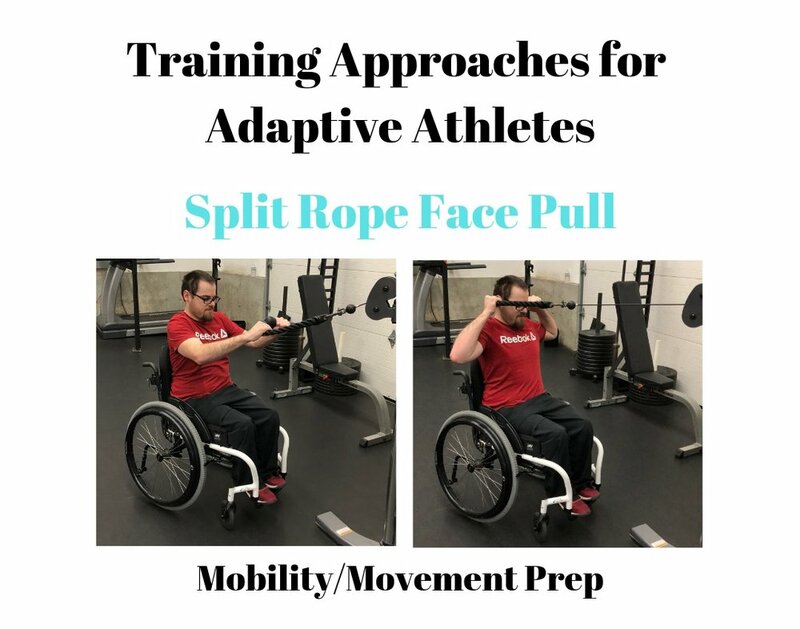 Our #adaptivefitnesscoach series will highlight a dozen exercise variations that we commonly use to improve movement quality. Each post will address how we modify the common exercises as well as the mobility movements that we frequently pair together. The second exercise in the series is the Band Resisted Bench Press. We use this as a teaching tool with beginners and as a progression for all athletes. 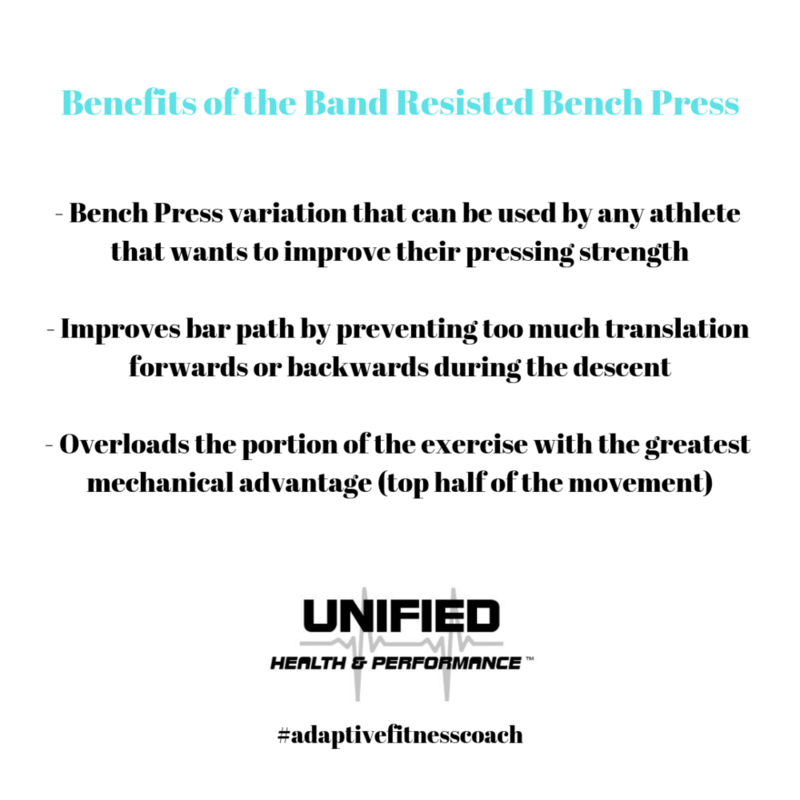 The band encourages a vertical bar path and provides accommodating resistance; this means that as an exercise becomes mechanically easier (top half of a Squat or Bench Press) the bands provide additional load to make the exercise challenging throughout the full range of motion. The infographics and text below explain how to perform the exercise as well as how to warm-up for it.